Men’s wedding bands and women’s wedding bands represent a lifelong promise to love and cherish one another. Such a monumental vow requires a band as enduring and exceptional as the union it symbolizes. 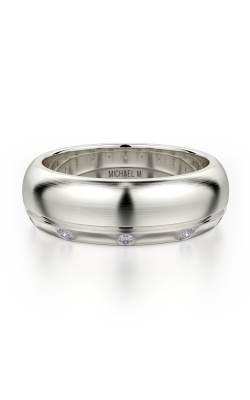 Michael M. designer wedding bands feature vintage, modern, and classic styles with a sophisticated flair emblematic of the pinnacle of refinement, elegance, and fashion. Searching for a superb wedding band that will delight you every day for the rest of your lifetime? 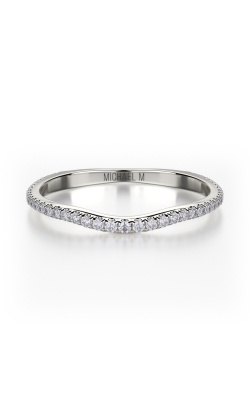 Look no further than Michael M.
Eight iconic women’s wedding band collections encapsulate the superior design that brides and grooms adore from Michael M. Europa is dotted with fine diamonds, fit to make every inch of this ring shine. Princesse provides a dignified wedding band fit for your fashion forward princess. Michael M.’s expansive collection are highlighted by their artisanship and attention to detail. The majestic Crown Collection is no exception. Michael M. also crafts elite designs for men. Grooms will find the exclusive designs of the men’s collection worthy of their new lifelong journey of wedded bliss. Engraved and burnished designs are the height of sophisticated style, while white diamond and black diamond studded bands command attention, without being ostentatious. Kevin’s Fine Jewelry is an authorized Michael M. Wedding Bands retailer, as well as the trusted Northern New Jersey area destination for all designer fine jewelry purchases. You can shop with confidence in the convenient Totowa, New Jersey showroom, or online at Kevinsfinejewelry.com. Superior selection, unmatched value, and trustworthy customer service makes Kevin’s Fine Jewelry the place to shop for all your milestone mementos, cherished gifts, and personal jewelry collection pieces. For more information about jewelry cleaning, and repair services, or in-house financing options, call (973)790-8836 today.